Yoga centers and schools are opening up all over the world as more and more people embrace it and make it a part of their lifestyle. If you are bored of your nine-to-five job you can pursue a career as a yoga instructor in some of the reputed yoga institutions and schools around the world. For that, you will need a certification that can add value to your profile. The best way to get started is to study yoga in India and get certified. This will allow you to get a job at some of the top yoga schools across the globe or even start your own yoga school. India is the best place to learn yoga because yoga was developed here. You may start your search for the best schools that provide yoga teacher training India. It is important that you are aware of the different forms of yoga and the one you want to learn. Hatha yoga is the simplest and the most popular form of yoga. Rishikesh in India is considered the yoga capital of the country and has some of the best yoga schools. These schools also provide accommodation, meals and study material when you enrol for four to six weeks course. Hence, you can search for yoga ttc in Rishikesh and make sure that the schools provide internationally recognized courses and certification. 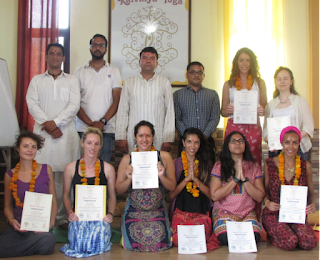 Kaivalya Yoga School is among the top yoga schools in Rishikesh and provides yoga teacher training certification to applicants from all over the world.